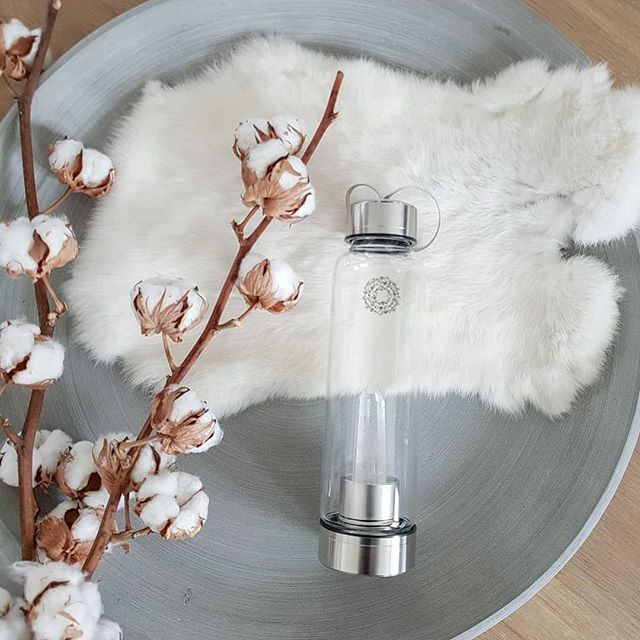 Rock your water with this beautiful Crystal-Infused Water Bottle by Manipura. Let the Energy of Earth’s minerals infuse your drinking water, turning them into a true Gemstone Elixir that will revive you from inside out. Clear Quartz is known as the ‘Healer Stone’. It has a unique ability to absorb, harness, release and regulate energy. It is so powerful that it is believed to work with all sorts of issues (physical, mental, emotional etc). It promotes inspiration and creativity and is a wonderful aid in creating space of mind. Clear Quartz helps with a connection to our higher-self/consciousness and therefore is the stone of higher wisdom. High Borosilicate Glass – 100% BPA and Lead-FREE; Hard; Clear; Temperature-Resistant, and Dishwater safe. Note: Each Gemstone is natural, so stones may vary in shape, size, and color.